Electricity of Vietnam (EVN) has made claims to Prime Minister Nguyen Tan Dung that foreign investors are exploiting the country’s cheap electricity prices. Poor technology is one of the reasons that waste electricity. In the dispatch to PM Nguyen Tan Dung, EVN was concerned that too many foreign investors were pouring money into steel production which goes against the steel production scheme of Vietnam and creates difficulties for the country’s biggest electricity producer. At the end of August 2009, Vietnam had 65 cast iron and steel production projects in operation with capacity of 100,000 tonnes per year or more(excluding some other factories managed by Vietnam Steel Corporation). However, only 33 of them fit into the scheme while the other 32 projects were just certificated by the local authorities without having been approved for by the PM or agreed to by the Ministry of Industry and Commerce. Though they are now operating at only approximately 50% of their capacity, EVN estimates that these steel factories are consuming some 3.5 billion kWh every year and greatly affecting the electricity distribution in the country. In the southern Ba Ria-Vung Tau Province, EVN has made 7 supplements since 2006. While the national grid has no additional plan for excessive capacity, EVN has to invest more on construction and their supplement for other sectors as well as residential activities being affected. The average price applied for steel production companies in Vietnam is now 909.28 VND/kWh (USD4.78cent/kWh). Meanwhile, other countries in the region are applying much higher prices for the industry sector including steel: Thailand 8.12 cent/kWh, 3.34 cent/kWh higher (169.9%); Singapore 14.1 cent/kWh, 9.32 cent/kWh higher (294.4%); Indonesia 6.7 cent/kWh, 1.92 cent/kWh higher (140%). “That’s why foreign investors are flocking to Vietnam to produce steel for export,” EVN General Director Pham Le Thanh said. 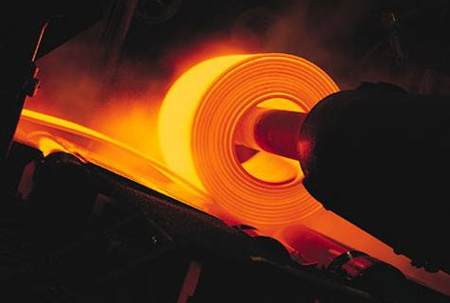 In a discussion with the press, Nguyen Chi Cuong, chairman of the Vietnam Steel Association, revealed that most the steel factories are operating with below-standard technology, which results in high product price, environmental pollution and electricity waste. Much of the outdated technology is bought from China due to a lack of capital and experience from steel companies in Vietnam. These out-of-date, low-capacity furnaces are consuming much more electricity and fuel, which pushes up the price of products. As such, the Ministry of Industry and Commerce has requested provincial people’s committees to revoke certificates at all the projects which employ out-of-date technology and machines. In the mean time, EVN has asked the PM to direct the provinces to strictly follow the plan for steel production in Vietnam. For the big projects which consume high electricity capacity, (from 100MVA onwards), EVN suggested that investors build their own power supply and sell the excess to the national grid. EVN also asked the government to quickly issue an electricity price policy which is based on the registered capacity of the various companies so that investors will register at their own demand and the country can curb unnecessary electricity projects.